UNIVERSAL - NO E-MARKED The A-VERSION are NO e-marked mirrors, they are made in abs with a special design signed BARRACUDA. 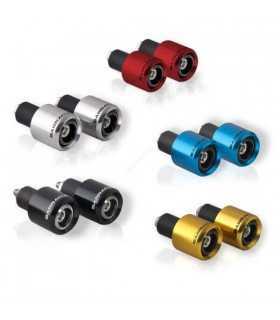 They have strong lines and un aluminium insert available in three colors: SILVER, GOLD and BLACK. 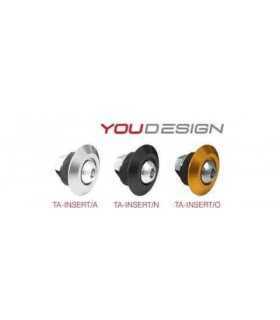 The GOLD and BLACK one offer the new concept YOU DESIGN , let to the customer arrange the own design by different INSERT in ALUMINUM in the colors: WHITE, RED and GREEN. They have universal bracket for NAKED bike. They are sold in pairs. design signed BARRACUDA.